“The Commandment” that was on the hearts of the Apostles and pressed upon the church in their writings is the Great Commission, recorded for us in Matthew 28 and referred to again here in 2 Peter 3. We see how obedience to this commandment is the best defense the church has against the false teachers who the Lord said would come into the church. 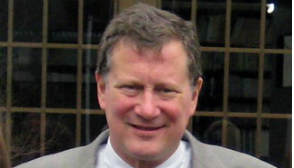 Stewart E. ("Woody") Lauer is an OPC foreign missionary in Japan.